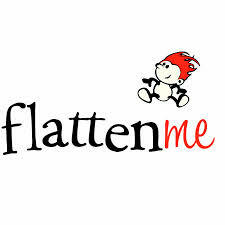 Home » Children's Books » Flattenme – Book Review and Giveaway! Flattenme – Book Review and Giveaway! *This post is sponsored by flattenme. I received a free book in exchange for this post. All opinions are my own. I don’t think it’s a secret just how much I love books. I may or may not have a slight obsession with children’s books. I have a special place in my heart (and on my bookshelf) for books that encourage children to fall in love with reading. Flattenme has created a line of beautiful and engaging stories that place your child IN the book! Personalized stories play into a child’s natural love of seeing and hearing their own name. A story all about them? What child wouldn’t love that? Flattenme has developed a great way for children to not only get excited about reading, but to literally be a part of the story! Flattenme places your child right into a beautifully written and illustrated story. 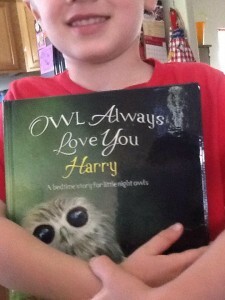 Click HERE to take a look at the inside of “Owl Always Love You,” and to find out how to order one for your little night owl! Ordering is so easy! With options to have either your child’s name, or name AND photo in a book and with a variety of different stories, appealing to both boys and girls, there is something for every child. Click HERE to check out their website and see what they have to offer! Flattenme also has t-shirts, water bottles, and more! Children will be overjoyed to have something with their name on it! (Especially if they like myself, have a uniquely spelled name or a name that you don’t typically find engraved on toothbrushes and novelty license plates!) EVERY child can feel special with a book from flattenme! 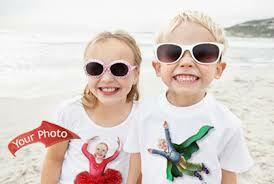 One lucky Chasing Supermom reader has the chance to win a gift code worth $34.95 to spend on the flattenme website!! You can spend the code on the “Owl Always Love You” book or any of the other incredible personalized items they have to offer! This would make a phenomenal Christmas or birthday gift for a special child in your life!! *Code does NOT include shipping! Good luck!! I’d create one for my son. I would love to create a personalized book for my daughter. She is 16 months and is just learning to say her name. A personalized book would be perfect for her. This would be for my little boy. I would create a book for my niece! She is just starting to get into reading, so this would be a perf birthday gift for her. For my 18 month old. What a great idea! Hope I win! I have 9 kids, but I would probably pick my son Luke since his 3rd birthday is coming up next. I’d create one for my granddaughter.